The Pan Am Games is officially a success. That’s right, we can all go home now, because Toronto has a legacy that will live for generations beyond the games: We have designed the perfect logo. 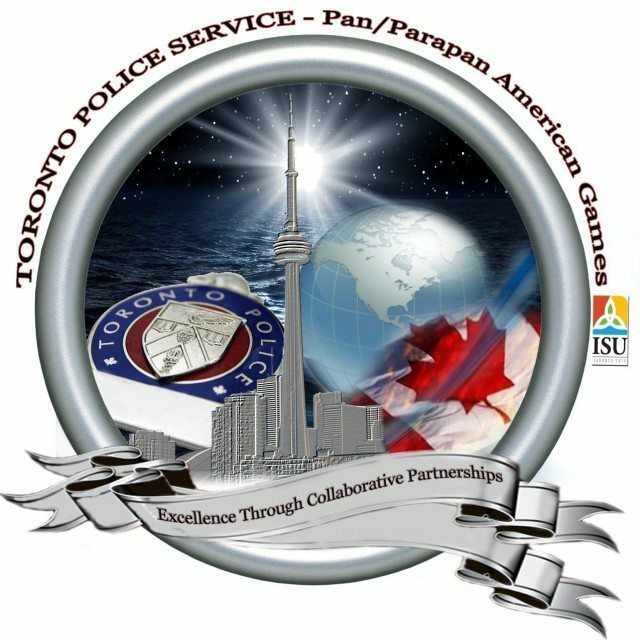 Specifically, the Toronto Police Services’ Pan Am Info Twitter account has the perfect logo. With its blend of clip-art images and 3D effects, the logo employs a retro 2001 design that invokes nostalgia for a time when Toronto lost its bid for the 2008 Olympics. But it’s not enough to simply glance at this art. We need to analyze it to determine what it means, and what it says about the essence of who we are as Torontonians. Look at that clip-art globe and feel connected to humanity; think about how we like to tell ourselves we live in the most multicultural city in the world, even if it’s not true. Or take in the stock image of the fluttering Canadian flag, and feel it flap in your heart. Can you feel the patriotism? Of course you can. There’s also the imagery of a Toronto skyline that represents our city sometime in the Mel Lastman years; it is always nice to see our heritage so prominently featured. But the most compelling imagery is the Toronto Police Services logo. Pointing to 1:00, the disc seems to be flying off toward a Gatsby-like light in the distance, chasing F. Scott Fitzgerald’s orgiastic future as years recede before us. Who is TPS’ Daisy, and what is its American Dream? Perhaps it is Andy Pringle, or maybe it is complaint-free policing? We do not know, but we give the agency partial credit for acknowledging, for better or for worse, that they beat on, boats against the current, borne back ceaselessly into the past. That’s an important first step, you guys. All of this wondrous imagery is underscored by the slogan “Excellence through collaborative partnerships,” a phrase, lain over two ribbons, that contains as much concrete meaning as Gatsby‘s green light. We may not know what it’s saying, but we know it’s meaningful—the ribbons have to be there supporting some kind of purpose that mere mortals cannot quite grasp. So move over, Bruce Mau and Edward Tufte and Michael Bierut and all you fancy design people. Toronto is World Class™ and we have the logo to prove it. Hat tip to Matt Elliott for finding this excellent logo.